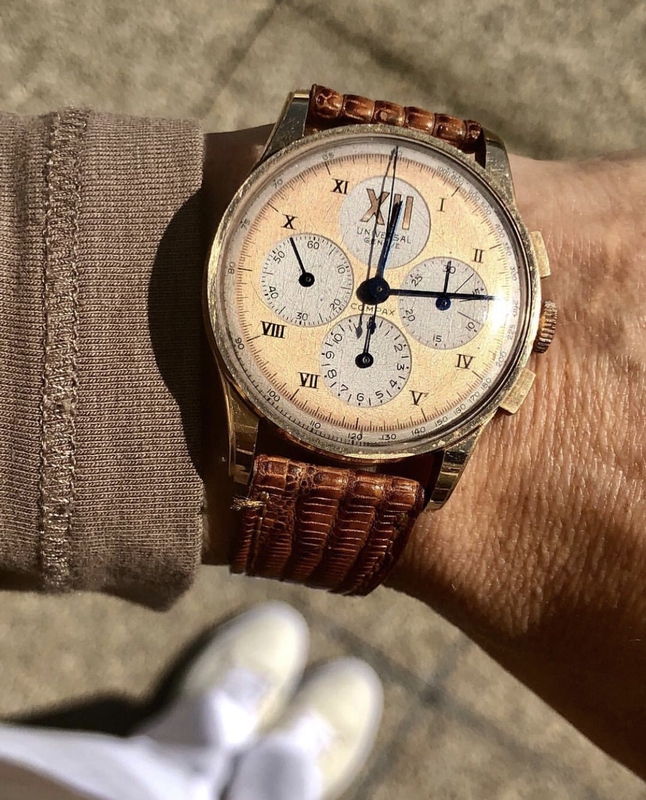 Up for sale this Extremely Rare and Unique Universal Geneve Compax Chonograph with big Roman numeral XII dial that is untouched, all original and unrestored. Rose gold case never polished and number: 12250-923973 that measures 35mm w/crown. Please feel free to contact if you have a serious OFFER and I’ll be happy to reply at any question and also be happy to send you more pics.